This report provides forecast and analysis of the fresh meat packaging market on Global level. It provides historical data of 2015 along with estimated data of 2016, and forecast data up to 2026 in terms of revenue (US$ Mn) and volume (’000 Tonnes). The report also includes macroeconomic indicators along with an outlook on fresh meat consumption pattern across the globe. It includes drivers and restraints of the global fresh meat packaging market and their impact on each region during the forecast period. The report also comprises the study of current issues with end users and opportunities for fresh meat manufacturers. It also includes value chain analysis. In order to provide users of this report with comprehensive view of the market, we have included detailed competitiveness analysis and company players with their SWOT analysis and strategy overview. The dashboard provides detailed comparison of fresh meat manufacturers on parameters such as operating margin, total revenue, product portfolio, and what we call ’innovation scale’. 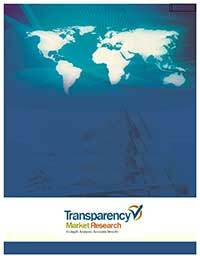 The study encompasses market attractiveness analysis by packaging technology, material, meat type and region.